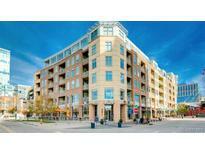 Below you can view all the condos for sale in the Riverfront Park subdivision located in Denver Colorado. Listings in Riverfront Park are updated daily from data we receive from the Denver multiple listing service. To learn more about any of these condos or to receive custom notifications when a new property is listed for sale in Riverfront Park, give us a call at 720-729-2320. The home is rounded out with three bathrooms and a spacious kitchen with island and bar seating. MLS#2359675. SLIFER SMITH & FRAMPTON DENV. This property can also be negotiated as a fully furnished / “Turn Key” residence with all of the designer furniture and house wares included. MLS#4761510. Kentwood Real Estate City Properties. Buyer to pay .5 transfer fee at closing. MLS#2450131. New Western Acquisitions. From sporting events, fine dining, world class entertainment, beautiful parks, walking and biking trails, 16th Street, Denver history, public transit at your fingertips, and an easy access to Highway 25 & I-70, this property really defines downtown living. MLS#8828846. COLDWELL BANKER RESIDENTIAL 24. Close proximity to Union Station, all that downtown has to offer, parks, trails, shops, restaurants and access to I-25. MLS#7372944. LIV Sotheby's International Realty. HUGE Upside here. Get in now! MLS#9405511. Generator Real Estate, LLC. There is also easy access to Union Station, light rail, downtown, the interstate, shopping and world class dining and entertainment. MLS#4445619. SLIFER SMITH & FRAMPTON DENV. is even in the process of codifying no smoking rules. Call to view today. MLS#4188149. Keller Williams Integrity Real Estate LLC. Bridge accessibility directly connected through the building. MLS#2829739. LIV Sotheby's International Realty. Riverfront Park is the ultimate in Denver Urban Living! MLS#9554069. LIV Sotheby's International Realty. The hall bath is modern and complete with an attached laundry with included washer and dryer. This is home. MLS#5112019. Madison & Company Properties. This is one of the most popular floor plans in the prestigious Riverfront Tower & is an entertainer's dream! MLS#6002857. Compass - Denver. The Brownstones feature a concierge service included with the HOA dues, making the residences perfect for a lock-and-leave lifestyle, all just a short walk to the South Platte River Trail and Union Station. MLS#6640985. MODUS Real Estate. Very pet friendly, garage parking & blocks to light rail. MLS#2987718. West and Main Homes Inc.
Not part of Riverfront district-3 dogs allowed not the 2 allowed in Riverfront. Buyer to verify all information. MLS#4269353. THE BRADLEY GROUP LLC. Includes a fireplace, balcony, 2 parking spaces, and 1 storage unit. MLS#4185779. SLIFER SMITH & FRAMPTON DENV. The loft also comes with a 100sf, on floor, conditioned, private storage room and two adjacent parking spaces. MLS#9044766. MODUS Real Estate. *private Security Entrance, Elevator, Secure Below Grade Parking & A Balcony Overlooking The Millenium Bridge! *minutes Away From I-25 Access! MLS#3094250. RE/MAX Professionals. HERE AT CREEKSIDE! Plus Quick commute to I-25! MLS#7109540. COLORADO PEAK TO PEAK RE LLC. Includes: 2 One-year athletic club memberships to Riverfront Athletic Club, plus an Appliance Home Warranty. MLS#8689932. SLIFER SMITH & FRAMPTON DENV. This Riverfront Park neighborhood home lays claim to the ultimate location to access Denver’s premier sights: Union Station, LoDo, the South Platte River Trail and countless restaurants and bars. MLS#4006709. USAJ REALTY. At the owners request all interior photos are exclusive and available for viewing on a password protected website. Call listing broker for access. MLS#2359469. SLIFER SMITH & FRAMPTON DENV.